...Leave only footprints. Isn't that what the bumper sticker says? When you venture into nature and then leave it should be as if you were never there. The truth is, that I don't think this bumper sticker is long enough. What if we lived our lives this way? What if we sought ways to look at our world and say that we will leave as good, if not better for those who come behind? This blog post is the first published on this blog but it is going to pose a lot of questions and the subsequent posts will answer them or try to anyway, yet and still ask more. In the interest of full disclosure, I think I have an ax to grind. I think that I have taken a lot from this world and I should work to restore the balance. More on that later...maybe. When we think about what we are doing in life, perhaps it is a change in mindset that we need to embrace? Do we have the knowledge to create a sustainable lifestyle and maybe take it one step further and create a hyper efficient machine that returns more than is put in? I would like to think with our big wrinkly brains and our opposable thumbs, we could cause a net gain in awesomeness on this planet. Has humanity missed the mark? That might be a tad philosophical for the first blog post, but it is something to think about as I engage in this next venture. We are creating a number of projects all designed to create a net negative effect on the environment, and a net positive on the community. Welcome to EQ Greenville. 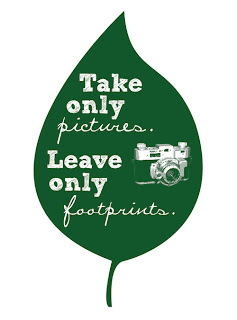 Take lots of pictures, it will be a sight to see!